The story of tobacco is the story of the modern age. 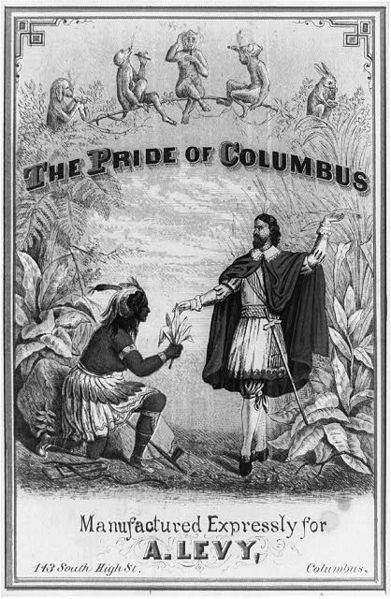 On 12 October 1492, within hours of his first landing in the New World, Christopher Columbus met a group of Taíno men carrying spears, fruit and ‘certain dried leaves which gave off a distinct fragrance’. Within days, his crew had joined them in rolling the leaves in maize husks, setting light to them and ‘drinking the smoke’. The moment when humanity’s two halves were reunited was also the moment that tobacco smoke first coiled up European nostrils. Over the following century tobacco became the world’s first global drug. From the ports of Cadiz and London, Rotterdam and Lisbon, its glowing baton was passed across Europe and shipped out along the new trade routes to Africa and Asia. Soon the Spanish were growing it in the Caribbean, the English in Virginia, the Portugese in Gambia, the Dutch in Java. As demand caught fire, the finest tobacco became worth its weight in silver; cultivation expanded across India and Brazil, Africa and China. The twisted ropes of its fermented leaf were the fuse that lit the era of globalization. The tobacco habit became universal, but every culture customised it in distinctive ways. The pipe, for example, had typically been shared by Americans in public rituals such as peace ceremonies, but Europeans quickly converted it into an item of private property, for sale in endless variety – clay or meerschaum, briar or cherry, polished or embossed – to reflect the taste and the pocket of its owner. 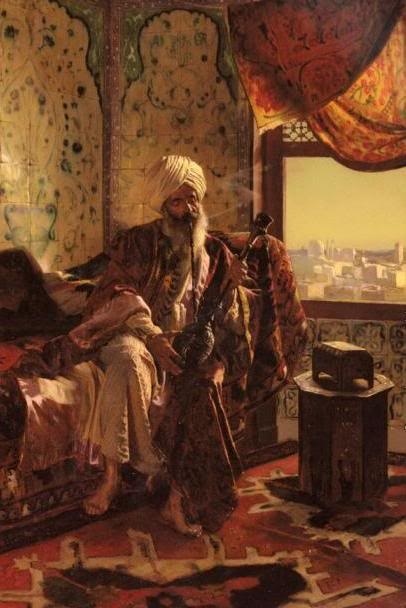 Africans elaborated pipes from gourds and brass into magnificent objects for chiefly display; Arabs expanded them into statuesque water-cooled hookahs and narghiles, around which a relaxed company could gather. In India tobacco was spiced and scented with sugar and rosewater, or added to betel nut for chewing. The ‘holy herb’, as it was known, offered itself everywhere as the perfect complement to long-established customs, discreetly making itself indispensable. This luxuriant flowering of modern tobacco cultures was a harbinger of global consumerism, but it was also a natural sequel to its ancient story. In its homeland of the Americas tobacco had been used over millennia for healing, for purifying, for hospitality, for treaty-making, for calling or exorcising spirits, and simply for sociability and enjoyment. Some people, like the Taíno, smoked its dried and rolled-up leaves; others, such as the mound-building cultures of the Mississippi, carved smoking tubes from the buttery red-brown rock still known as pipestone. Many chewed the leaves together with powdered lime, or wedged fire-baked cakes of them under their lips as the Yanomami and other Amazon people do today. 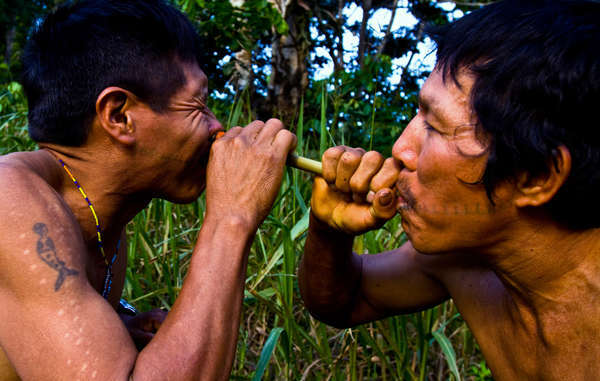 Others, such as the Caribs, chopped it finely and snuffed it up their noses through bone tubes; others still, such as the Warao shamans of the Orinoco delta, drank a juice of the leaves so powerful that they hallucinated and lost consciousness. Exquisite Maya pottery depicts medicine men administering a similar juice as enemas to reclining nobility. Tobacco’s obliging versatility is to some extent due to nicotine, which has the unusual ability to function either as a stimulant or a relaxant: to aid concentrated effort, for example, or to recuperate from it. But it also flows from the act of smoking itself, and the subtle control it offers over mood and mental state. The state of consciousness it engenders can be put to many uses: social or meditative, sensual or spiritual. Given what we now know about tobacco’s risk profile it is easy to forget that in most of the societies in which it has flourished it has been regarded primarily as a medicine. In sixteenth century Europe ‘fog-drinking’, as smoking was originally known, was initially promoted by doctors who saw its astringent, purifying nature as a ‘drying’ antidote to ‘moist’ diseases such as asthma, catarrh or dropsy. Similar ideas prevailed in China where tobacco’s concentrated yang energies made it a potent physical remedy and smoking was seen as an extension of the long-established medical practice of burning joss or moxa. As with many miracle drugs, tobacco established itself as an exclusive object of desire for the wealthy before trickling down to become a small luxury that circulated wherever people gathered for leisure. In seventeenth-century Europe it emerged as both a public and private habit, a stylish accessory for the ‘gallant’ man about town but also the perfect aid to solitary contemplation, allowing thoughts to gather and disperse, drift and wander like wreaths of smoke. It both sharpened and satisfied the emerging hunger for a private self. 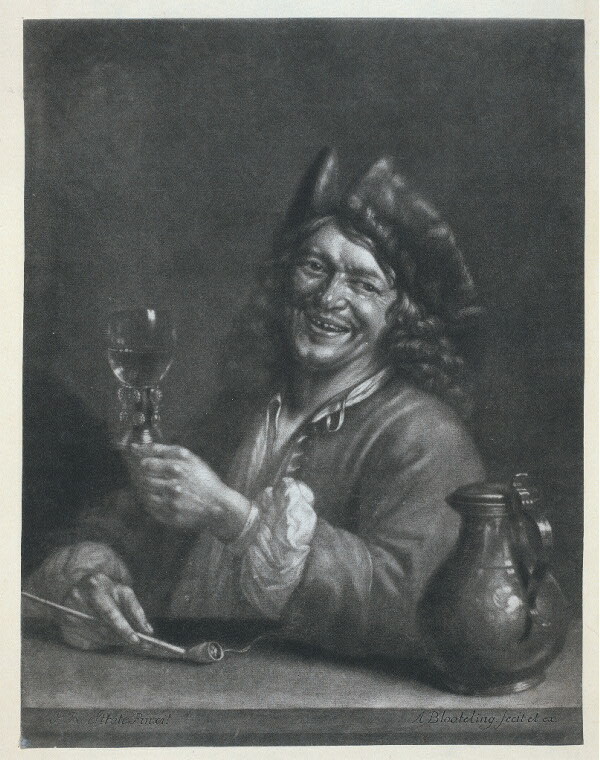 The tobacco-fuelled state of serenity cultivated by the self-fashioning consumers of early modern Europe may seem far removed from the sacred rituals of the Indians, but it was perhaps not so different from ancient traditions of welcoming and nourishing the spirits. In the hothouse economy of the west, the tobacco habit was constantly reinvented by its consumers’ evolving tastes. By the eighteenth century pipes were ubiquitous, and the restlessly fashionable began to distinguish themselves by taking snuff. Jewellers turned out snuff boxes embellished with ever more fantastic conceits, private tutors set up snuff schools and printers published guides to snuff etiquette. The nineteenth century was the age of the cigar, pioneered in Cuba and imported into Spain: a fragrant, streamlined and pure form of the leaf that, unlike the pipe, consumed itself entirely as the smoker consumed it. It was only in the twentieth century that the cigarette took hold, spreading with the velocity of the industrial age. Here was a smoke tailored not for the club or private drawing room but for the café, the bar, the factory break and the street corner. Mass media and advertising prised open new markets; mass production decimated the cluttered shelves of the tobacco shop with a standardised and simplified product line. Multinational producers consolidated the global market and the delicate ecology of small growers, specialised tobacconists and connoisseur customers was swallowed up by the mass-consumption monoculture of Big Tobacco. Tobacco became a universal habit, but it has always been an acquired taste. Like alcohol, the first exposure is rarely enjoyable, and even for its habitués it mingles the qualities of pleasure and poison. From the beginning, it divided western society between those who hailed it as the glory of the modern age and those who saw it as a descent into barbarism. When he returned to Spain as Europe’s first tobacco smoker, Columbus’ crewmate Rodrigo de Jerez was imprisoned by the Inquisition for his diabolic exhalations. By the time he was released many more had taken up the habit, yet its enthusiasts would always be shadowed by its opponents. In his famous Counterblaste to Tobacco of 1604, King James I declared it ‘lothsome to the eye, hatefull to the nose, harmefull to the braine, dangerous to the lungs, and in the black stinking fume thereof, neerest resembling the horrible Stigian smoke of the pit that is bottomlesse’. For its advocates, the perfumed smoke of the ‘holy herb’ brought heaven down to earth; for its enemies, it was a weed with its roots in hell. James, we now know, had a point about the lungs; but it would be many centuries before medical opinion lined itself up firmly behind him. The demonstration of the link between tobacco smoking and lung cancer, first made by Richard Doll in 1950, can be recognised with hindsight as the high water mark of the era in which tobacco seduced the world. 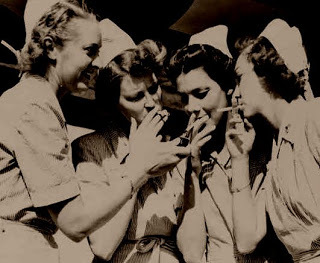 At the time, though, there was no shortage of doctors happy to endorse Camels, Chesterfields and Lucky Strikes, even though smokers themselves had for decades been referring to cigarettes as ‘coffin nails’. Tobacco had become too profitable for businesses and governments to admit that half of its loyal customers would die of their habit. Over the decades it took for the truth to be dragged out, our romance with tobacco was poisoned beyond recovery. As a result, today – at least in Europe and North America, where its global conquest began – the party of King James has the upper hand. Smoking had always been a convivial habit – an adjunct to relaxing with friends or meeting strangers, a small gift that buys five minutes of comfortable interaction – but now the smoker is excluded from society. During World War II, General Pershing famously declared that cigarettes were more important than food for troop morale; today their packs are emblazoned with ghastly images of gangrenous toes or emphysemic lungs. Throughout modernity, smokers have been the life and soul of the party; now they shiver on the street outside the office building, addicts isolated by their need for a fix. Tobacco has been called the shaman’s revenge on the white man for the exploitation of his discoveries: the most prized of his sacred plants turned out to be a poison chalice. But it is the relationship we have developed with it that is toxic, rather than the plant itself. For the Native Americans it was a sacrament, and the only physical harm associated with it was the risk of acute poisoning from a massive dose. Inhaling it into the lungs was the exception rather than the rule: even among those who smoked it, many preferred to swallow the vapour into the stomach. And there were few who smoked as habitually as we do or lived long enough to suffer the consequences. These last factors remain the case for many smokers in the developing world today, as they were during tobacco’s golden age in the west. Pipes and cigars are cruder and more malodorous than today’s industrially processed cigarettes but far less deadly. It was only when the occasional puff or pinch was commoditised into the pack of twenty and the regular habit, right at the historical moment when life expectancy, nutrition and public health were all improving at unprecedented rates, that its harms were dramatically exacerbated and exposed. If tobacco had always been a conspicuous vector of disease and death, it could not have entwined itself into modernity as tightly as it did. The tobacco plant has more to offer than the factory-rolled cigarette, and our affair with it has not been entirely burnt out. Developments such as the globalisation of sidewalk shisha bars suggest that new forms of tobacco consumption may still be unfolding, but the innovation that has transformed the 21st-century habit is of course the vape (referred to as the ‘e-cigarette’, much as the first cars were called ‘horseless carriages’). The monoculture of the cigarette collapsed the distinctions between tobacco, smoking and nicotine; now they are being reasserted, and their radically different risk profiles exposed once more. Nicotine is addictive but (in small doses) not particularly harmful, and may have some health benefits. It is the tars in cured tobacco leaf that represent the major health risk, as well as containing the flavours prized by connoisseurs. And smoking, the technology that tobacco carried from the New World to the Old, has now become a delivery system for dozens of other drugs. The promise of vaping is to separate nicotine inhalation from smoking, and to reignite our relationship with tobacco in a form that minimises its harms while retaining at least some of its pleasures. The plant seems to have disappeared from the picture, but it hides in plain sight: it remains the source for the nicotine extracts that the new technology depends on, and promises a healthy future to tobacco farmers as much as to its consumers. 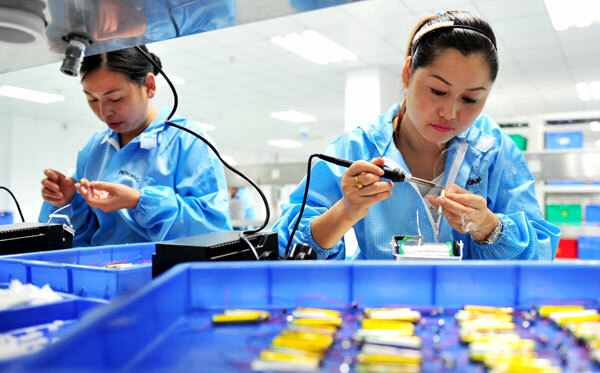 Nicotine extracts are produced on an industrial scale across the globe but concentrated in China, the nation with the cheapest supply chain as well as the world’s largest number of tobacco smokers. 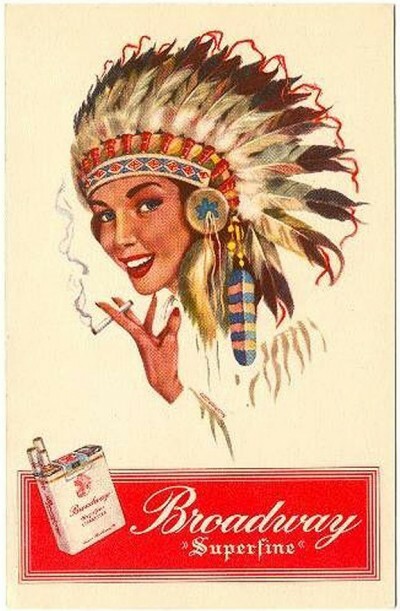 If the promise of vaping is fulfilled, and perhaps extended into modes of consumption as yet unimagined, we may be witnessing not the end of our romance with tobacco but something more like an echo of the ingenuity and diversity that characterised its Native American roots.